We’ve found great deals at 1876 hotels! The Nanjing Grand Hotel (Nanjing Gunandu Fandian) is located in the vibrant Xinjiekou commercial area, within easy reach of several universities including Nanjing University and Nanjing Normal University. This Nanjing hotel offers a range of accommodations with all the standard amenities. For long-term guests, there are deluxe apartments appointed with kitchens. The hotel's restaurants serve delicious Chinese, Western and Japanese dishes and there is a coffee shop and bar on the premises as well. The Fairy Garden Hall equipped with the latest audio and video facilities is a good venue for business and social events. Those with free time can take advantage of the outdoor swimming pool, massage, sauna and fitness facilities. 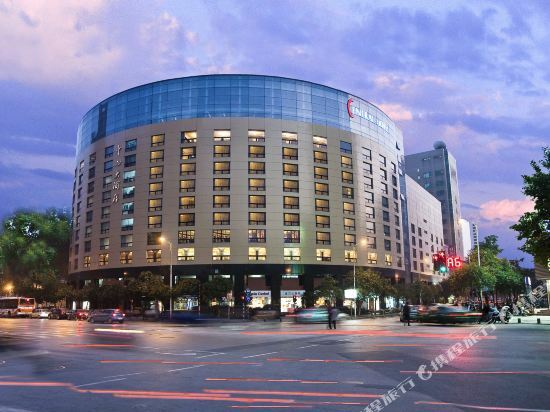 Situated in downtown Nanjing, the Suning Universal Hotel (Suning Huanqiu Taofang Fandian) is convenient to many universities including Nanjing University and Nanjing Normal University. About a 15-minute walk sees guests to the bustling Xinjiekou commercial area. Rooms in this Nanjing hotel are equipped with free broadband Internet access. In some select rooms, guests can enjoy panoramic views of the city or mountains in the distance. Tasty Chinese and Western food are served in the atmospheric restaurants. Business travelers have access to several meeting rooms equipped with projectors and computers. Those with spare time on their hands can work out in the gym, pay a visit to the sauna or play a game of chess or cards. 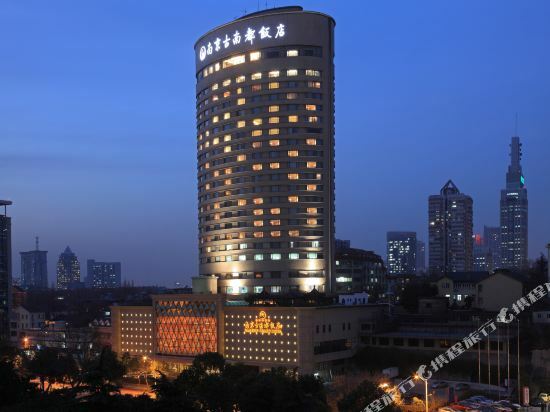 The 5-star Central Hotel (Nanjing Zhongxin Dajiudian) is located in the Xinjiekou commercial hub. This Nanjing hotel features an airy 25-meter high atrium lobby, attentive service staff and guests rooms that come with all the standard amenities. Diners can feast on Chinese food or they can check out the hotel's Western restaurant. The on-site coffee shop is a nice place to relax with a book. Guests with business to conduct can use the meeting facilities or business center. Other offerings include a gift shop, beauty salon, free parking and an airport pickup service. Those with free time on their hands can get a massage, use the steamy sauna or go for a swim in the indoor swimming pool. 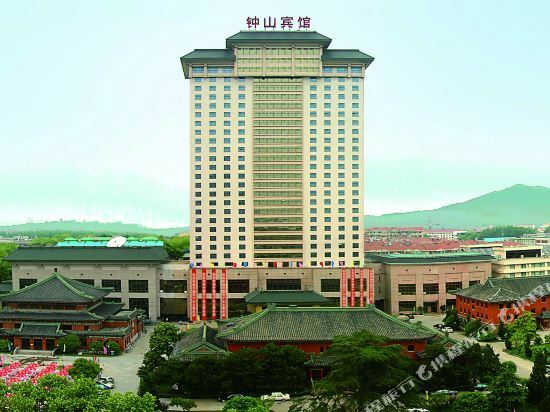 The Lakeview Xuanwu Hotel (Nanjing Xuanwu Fandian) is located in Nanjing's central business district within 10-minutes' drive from Nanjing Railway Station, International Exhibition Center and the highway. 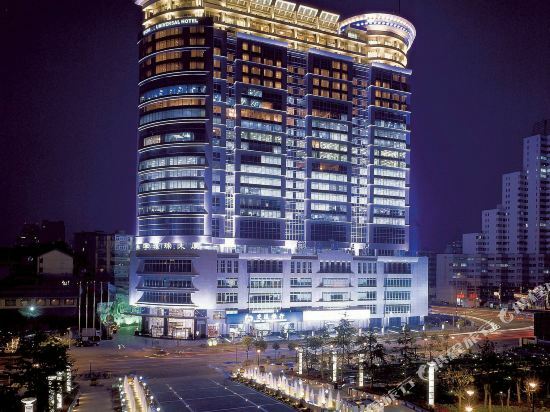 Guests will also find the metro station within walking distance to this Nanjing hotel. Looking out through guestroom windows, guests can take in views of either the city landscape or Xuanwu Lake. For meals, diners can sample the Chinese, Western and seafood dishes in the Lake-view Revolving Restaurant with an open kitchen, while taking in the spectacular panoramic views of Xuanwu Lake, the city and far-off mountain. Guests with business to conduct can take advantage of the business center and meeting facilities. Other offerings include free parking, airport pickup service and a gift shop. When guests have free time on their hands they can enjoy the steamy sauna and indoor swimming pool or head to the beauty salon to get their hair done. Fitness facilities are also available for those who'd like to stay fit. 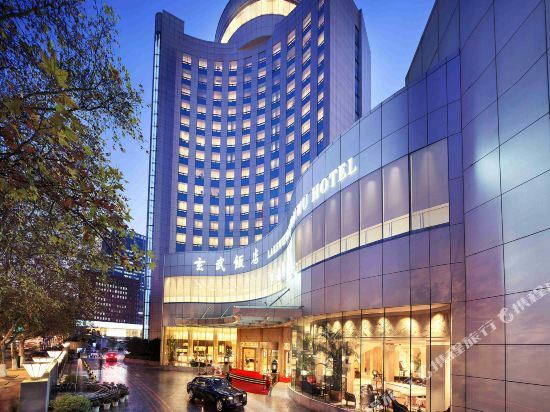 This Nanjing hotel was given the WorldHotels Performing Excellence Award in 2010 and it continues to provide guests with high quality service. The Zhongshan Hotel Nanjing (Nanjing Zhongshan Binguan) is located within easy reach of the bustling downtown area. This Nanjing hotel offers a great variety of well-equipped accommodations ranging from standard to queen room. The Chinese restaurants serve Huaiyang, Sichuan and Guangdong cuisine. There is also a coffee shop. The hotel provides private meeting rooms, the largest of which can hold 700 people. The business center offers comprehensive secretarial services, ranging from computer printing and internet access, to ticket reservation. The Nanjing Purple Palace (Nanjing Zijin Shanzhuang) is located in the northern area of Zijin Mountain (or Purple Mountain), near the Zhongshan Hill Scenic Area, near a 27-hole golf course. It is just a few minutes away from the airport and local railway station via car. 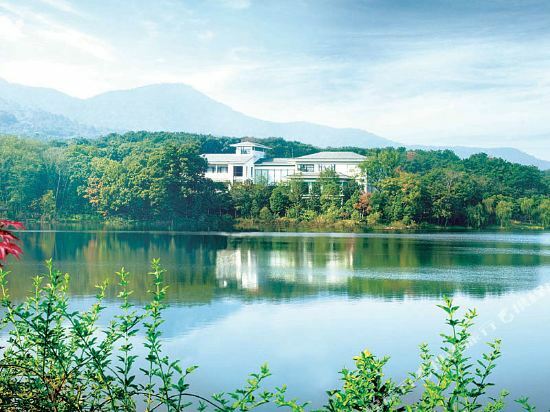 This Nanjing hotel features stunning views of Zijin Mountain and the surrounding lake. The main building, convention center and ten stylish villas are built at the foot of the mountain. Each guestroom is spacious and complete with first-rate facilities like imported LCD TVs, rain forest shower and free broadband Internet access. Most rooms have large balconies, affording the view of the lake and lush mountain. Guests looking for a bite to eat can head to the hotel's on-site restaurant, where local and gourmet cuisine are served. The Nanjing Purple Palace also offers fully-functional, well-equipped meeting rooms for any occasion. Various fitness facilities and tennis courts are also available for guests' disposal. Nanjing, previously known as Jinling, is one of the four ancient capitals of China. The capital city of six ancient dynasties, the Southern Tang, the Ming Dynasty, the Taiping Heavenly Kingdom, and the Republic of China were all established here. This ancient capital has a thousand years of history and culture, is home to many ancient buildings and cultural artifacts. The city of Nanjing administers 11 districts and the Yangtze River passes through the west side of the main city. The main popular attractions are located in the Sun Yat-sen Mausoleum and Confucius Temple scenic area. The Sun Yat-sen Mausoleum brings together many historical attractions in Nanjing, such as the Sun Yat-sen Mausoleum and Ming Xiaoling Mausoleum. The bustling Confucius Temple represents Qinhuai style and is the most prosperous area from the six ancient dynasties. Nanjing is a modern city with beautiful scenery. The famous Zhongshan scenic area is on the east side of the city and the main business districts and attractions are between the Yangtze River and Zijin Mountain. Xuanwu Lake is at the foot of the west side of Zijin Mountain. The surrounding area is one of the liveliest business districts in Nanjing. Train stations, bus terminals, and Hunan Road Food Street are all located here. In the southern part of the city, the Qinhuai River scenic area and Confucius Temple can be found. There are not only a large number of well-reserved ancient constructions such as the Jiangnan Examination Hall, and the former residence of Li Xiangjun, but also countless foods and great nighttime scenery. The Tangshan hot springs, located about 28 kilometers to the east of the city, are also a popular attraction. Nanjing is very suitable for weekend excursions. Visitors can spend one day at the Sun Yat-sen Mausoleum, Ming Xiaoling Mausoleum, and Confucius Temple and the next day at Xuanwu Lake and the Presidential Palace. Of course, there are many scenic spots worth spending more time in Nanjing for. For visitors who’d like to learn more about Nanjing’s history and culture, spending four to five days in the city should be sufficient. Nanjing has a subtropical humid climate with an average annual temperature of 15.3°C. Hot summers and cold winters is a significant climate feature that Nanjing has compared to other southern cities. The best time to travel to Nanjing is during the spring and autumn. At this time, Nanjing is not only pleasant in climate, but also full of flowers and urban landscapes. From February to March, plum blossoms bloom on Meishan. At the beginning of April, when the cherry blossoms are in full bloom and the temperature is about 5-17°C, many visitors make their way to Nanjing. From June to August in the summer, Nanjing is hot and rainy with high temperatures sometimes reach as high as 40°C during the months of July and August. The temperature is generally around 35°C, which is why it’s known as one of the “three furnaces” of the country. Mid to late June is the rainy season which lasts for about one month. Due to frequent rainfall during this period, it’s important to plan your trip carefully. The period from September through November is also a great time to visit Nanjing. In the fall, the temperature is around 16-27°C and the leaves on Qixia Mountain turn a beautiful hue of red. In addition to seeing the fragrant osmanthus and maple leaves with the autumn frost, you can also enjoy Gaochun hairy crab and other autumn fruits and seafood. In the winter months of December and February, Nanjing is slightly cold with an average temperature of -1-8°C. Most people wear down jackets and thick sweaters during this time. In December, it usually snows, making it the perfect time to check out the winter scenery at Mount Zhongshan. Moreover, the Tangshan hot springs are one of the four hot springs in the country. Visitors can soak in hot springs with a backdrop of snowy weather. Many hotels in Nanjing are also located in the hot spring area. Nanjing hotel information & deal: Check out room rates, photos, a map and reviews of hotels in Nanjing and find the best deals on Nanjing hotels. Trip.com offers big savings on online reservations for Nanjing accommodation. Book Nanjing vacation packages and Nanjing tours with huge discounts on Trip.com!